bObsweep and ECOVACS DEEBOT have a few different models in their robotic vacuum ranges. 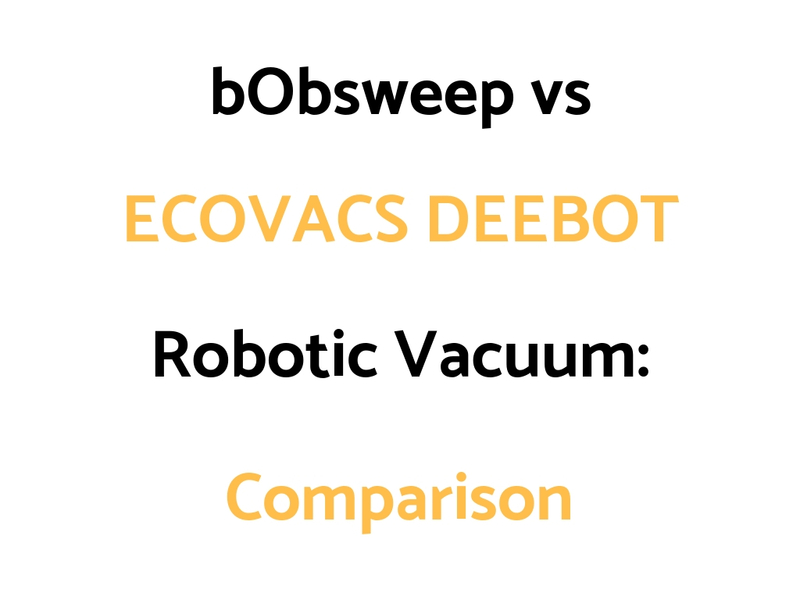 We’ve put together a bObsweep vs ECOVACS DEEBOT Comparison Guide outlining the differences and similarities of their most popular or latest models. You’d get the PetHair Plus if you want a more powerful upgraded version of the PetHair. Both are vacuum and mop 2 in 1 units. The bObi Pet is slightly different to both those models having touchscreen buttons on the vacuum. It has a mini mop attachment. The bObi Classic is similar to the bObi Pet. We think both the PetHair Plus and bObsweep Pet present good value for money for pet owners – the PetHair Plus in particular. The bOb Classic present OK value for a regular robotic vacuum. The N79S offers pretty good value as a more affordable robo vac, so you may want to start there if price is important to you. It’s smartphone app controlled, and Alexa voice activated. The N79S is great as a value for money model, and the bObsweep PetHair Plus is good as a pethair model specifically. You can start by checking out the ILIFE robo vacs if you want an affordable option and alternative. Also, The iRobot Roomba 690, 890, and 960 and 980 models are worth a look as higher price robo vacs, as well as the Neato Connected Series (D3 through to D7).